Good morning all. I have made a lot of treat boxes mainly for holidays or little girls. I wanted to make a few for little boys and think this one turned out too cute. What say you? oh my gosh...this is Super! Love the clip art paired with the great digi papers!!! Super cool, cute and fun!! Love this!! Your treat boxes are so fun! 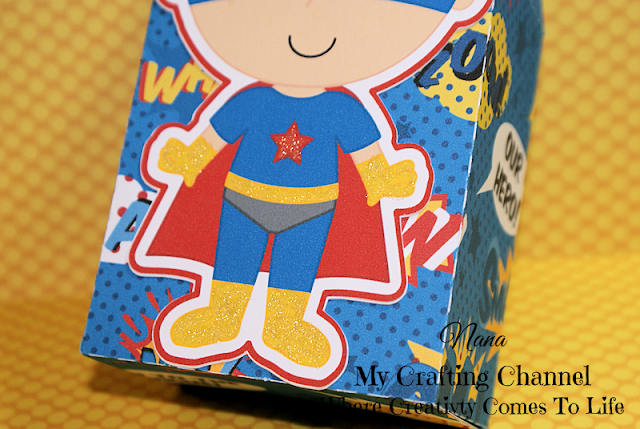 The super hero theme is great for both boys and girls! I love the bright cheery colors and papers you used! Yes, Yes, YES!!!! This is so totally COOL Nana! LOVE that digi paper and fun super hero! Gotta LOVE our Cameo's!!! They totally rock the digi stuff! :) Have a Wonderful Easter Weekend!! WOW! This box is super duper cute! 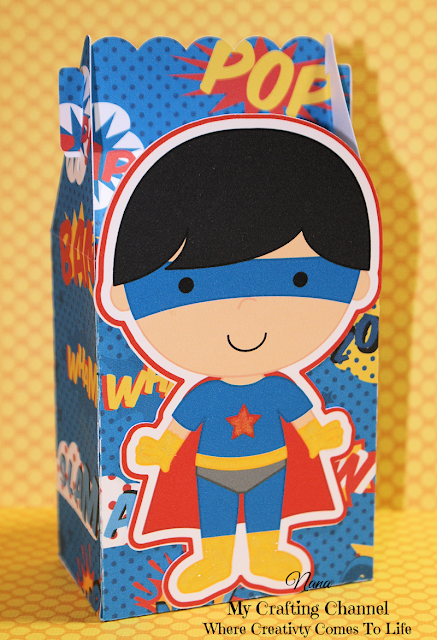 OMG This Super Hero treat box is so cool and fun!! 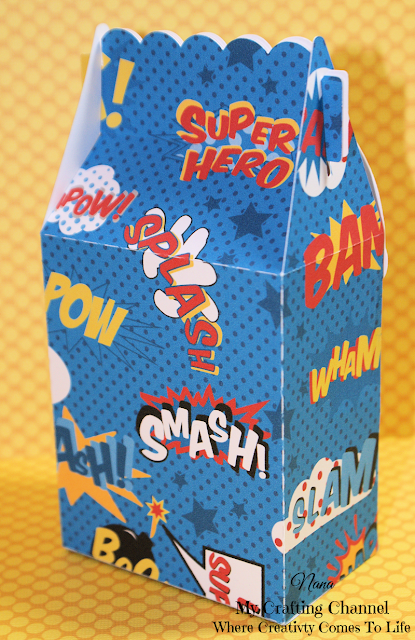 Love this super box!! Have a great day. Such a great treat box. Love it.